Easy to wear styles with delicacy and class. Easy-chic style – bold prints, and contemporary feel. Tory Burch glasses and Tory Burch sunglasses began in 2014 in a New York City apartment. Oprah Winfrey endorsed Tory Burch in 2005, bringing the brand into the spotlight. 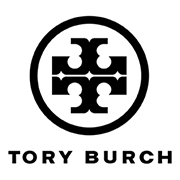 Tory Burch is now a well known fashion brand with an excellent reputation for quality and style. The Tory Burch collection is available at Good Looks Eyewear. Visit Our Pittsburgh or Cranberry Township location to pick up your glasses or sunglasses.